No one of us lives without, even unconsciously, seeking for that which gives meaning to our lives, for that which threads together all the lived experiences we have, for that which makes us deep down who we are. Faith, as in the title of this book, is a word which attempts to express such a search and it need not imply a transcendent reality, a beyond. But most of us are led in our search to just such a beyond in order to make sense of the totality of our lived experiences. Although this book is clearly written for the Christian believer, for those who voyage into the beyond, it does that in a unique way by searching for a deeper understanding of the transcendent in the immanent and, in particular to probe the transcendent by meditating upon our best scientific knowledge of the universe in which we live. The evolutionary character of the universe is a particular ingredient of that probing. For that reason I suggest that this book may serve those searchers who have not yet reached beyond the immanent but are still probing. The author pursues this search by a systematic treatment of the Nicene Creed which has been and remains central to Christian faith since the 5th century. 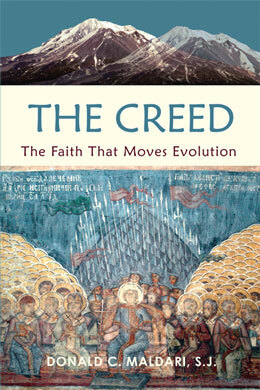 As your introduction to The Creed, an excerpt is available for you to sample on your iPad/iBook or any other ePub reader.